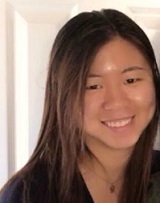 Tiffany Chien is a Biology major, class of 2015, studying at Duke University Trinity School of Arts and Sciences. She grew up in San Jose, California and became interested in STEM education after her first year in college. At Duke, Tiffany is involved in education policy and biological sciences research. She is also an active member of Alpha Phi Omega and works for several teaching and tutoring programs. Some of her interests include nonfiction writing and learning Taiwanese language and culture. She joined InnoWorks her freshmen year as a mentor and became Deputy Director her sophomore year. She is honored to be able to serve as Director this year along with Janan Zhu and is looking forward to another exciting summer.